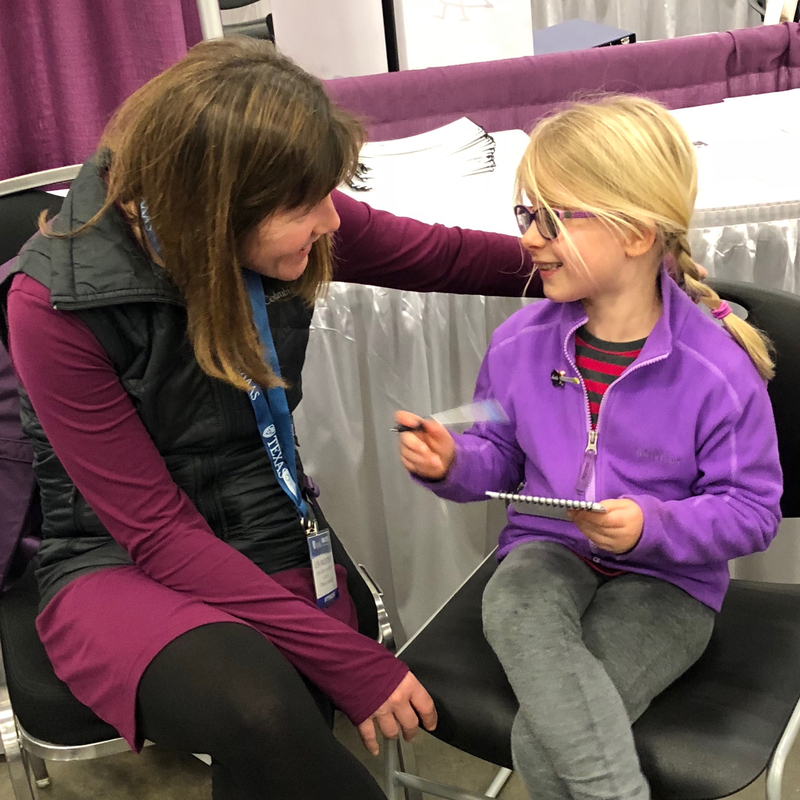 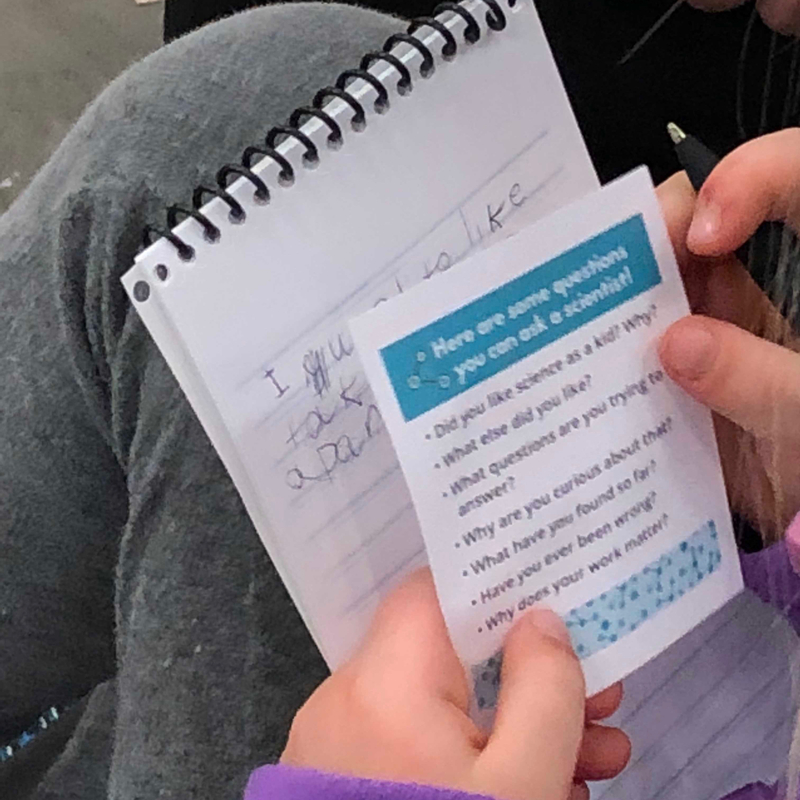 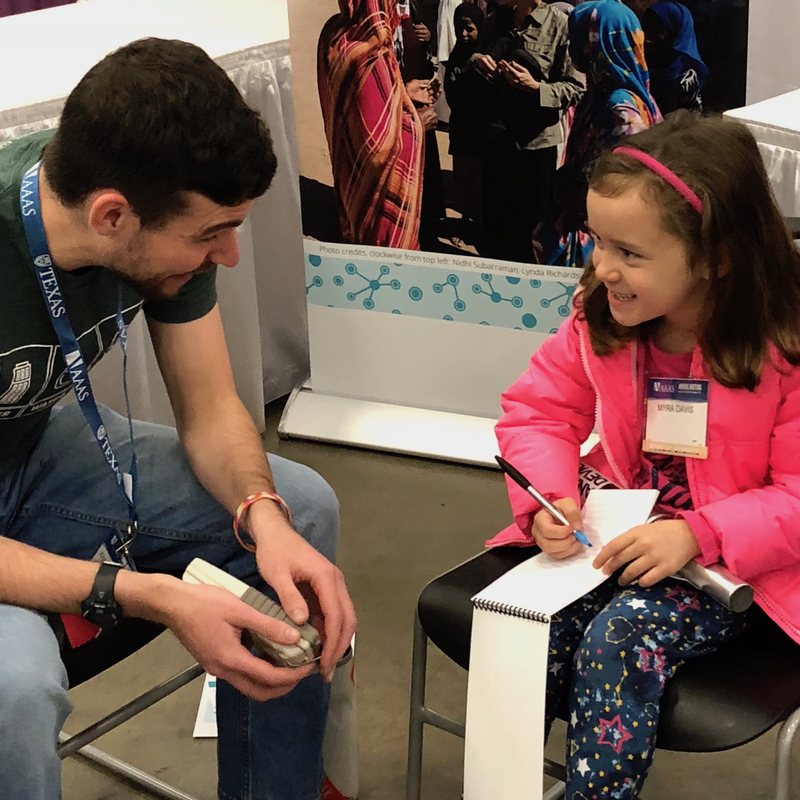 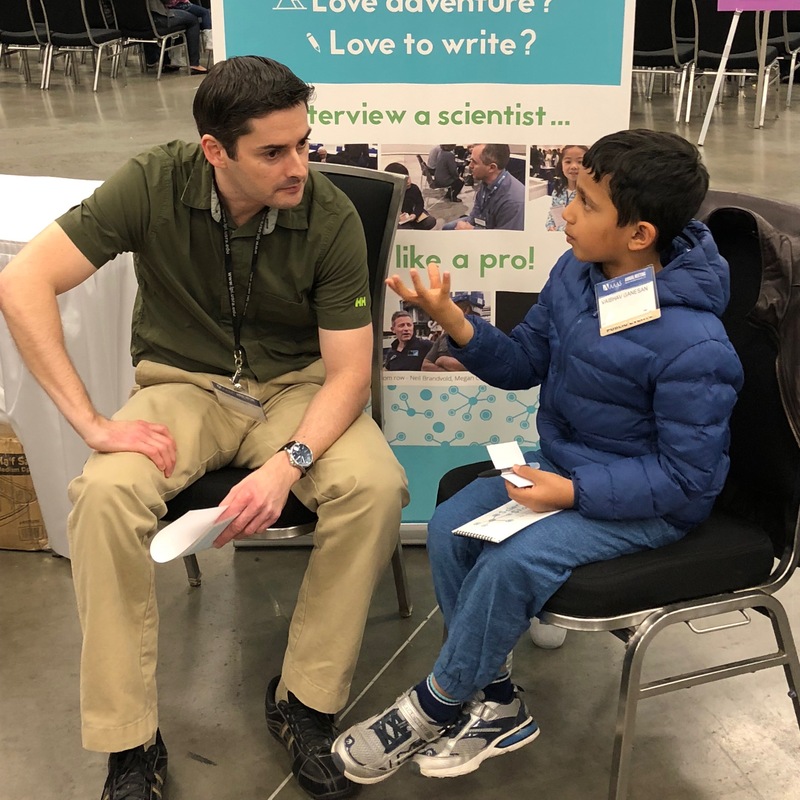 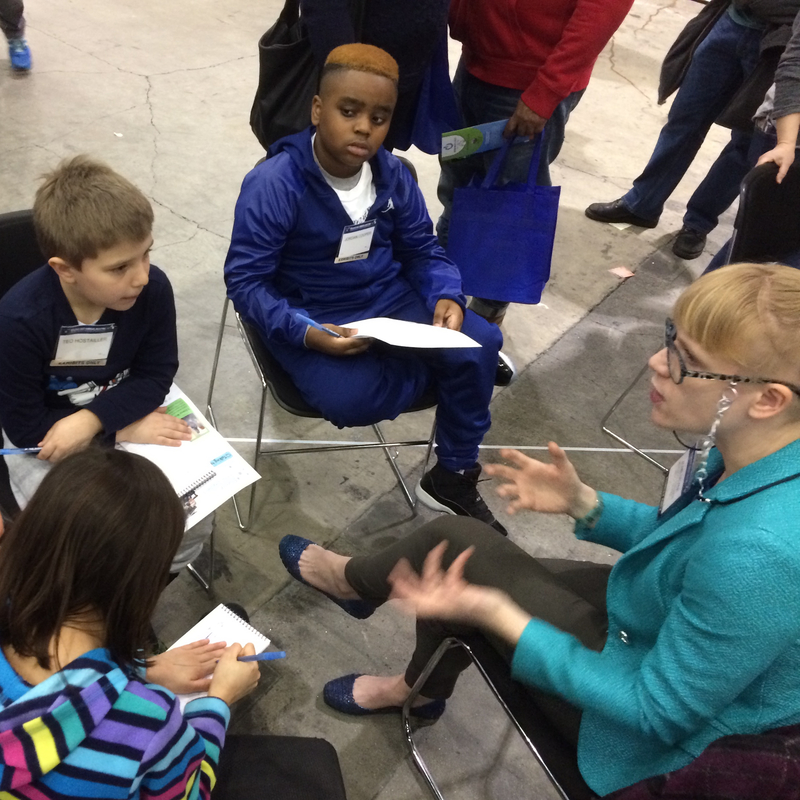 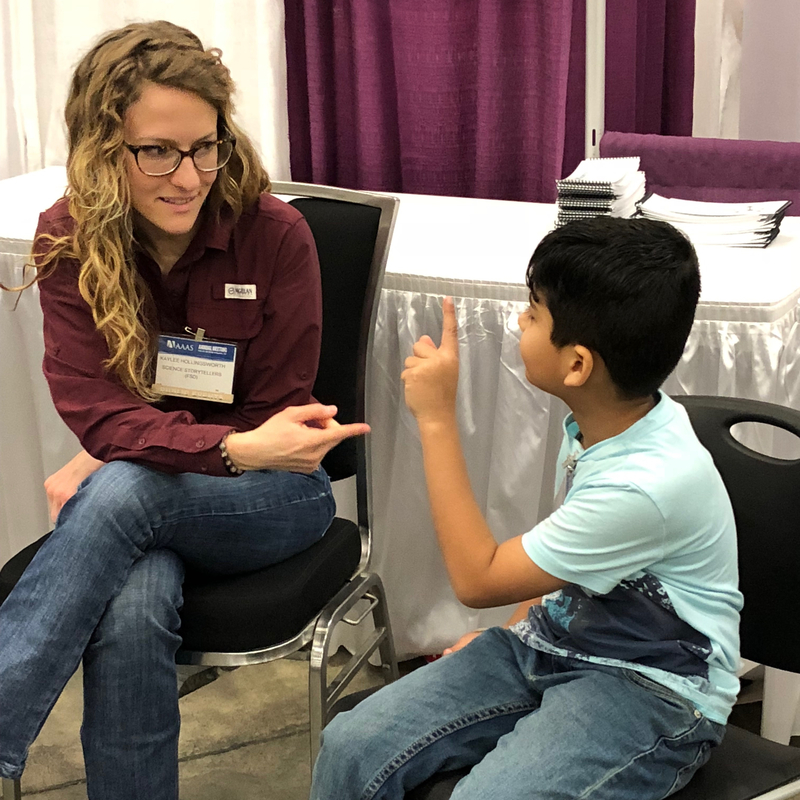 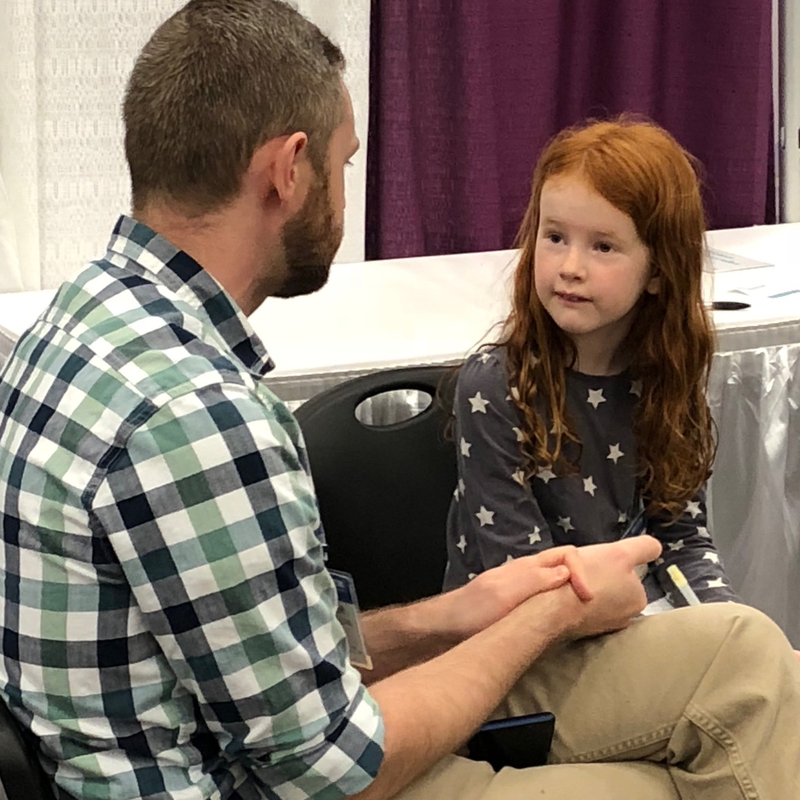 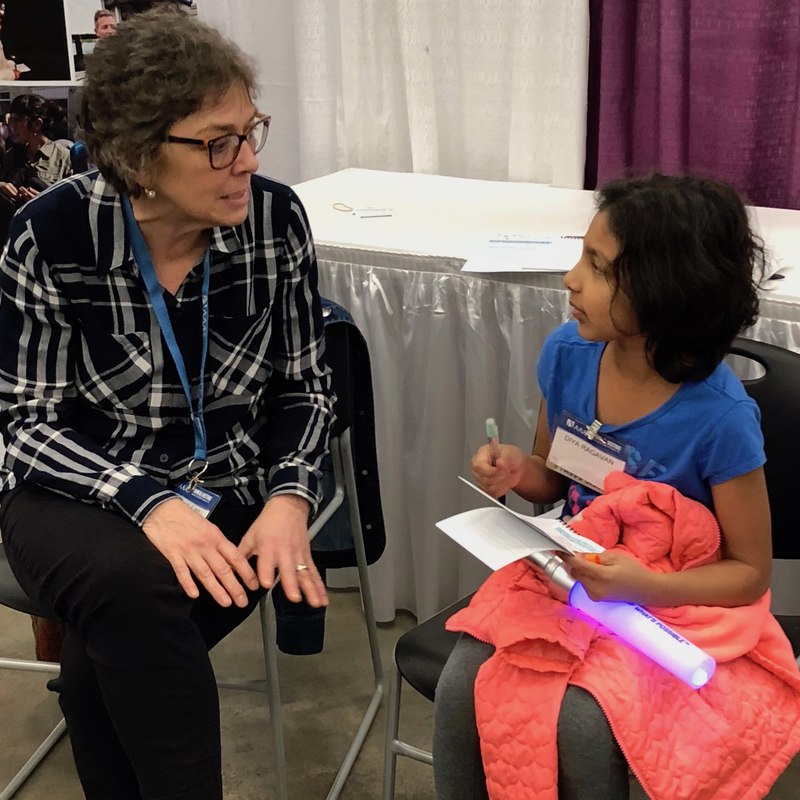 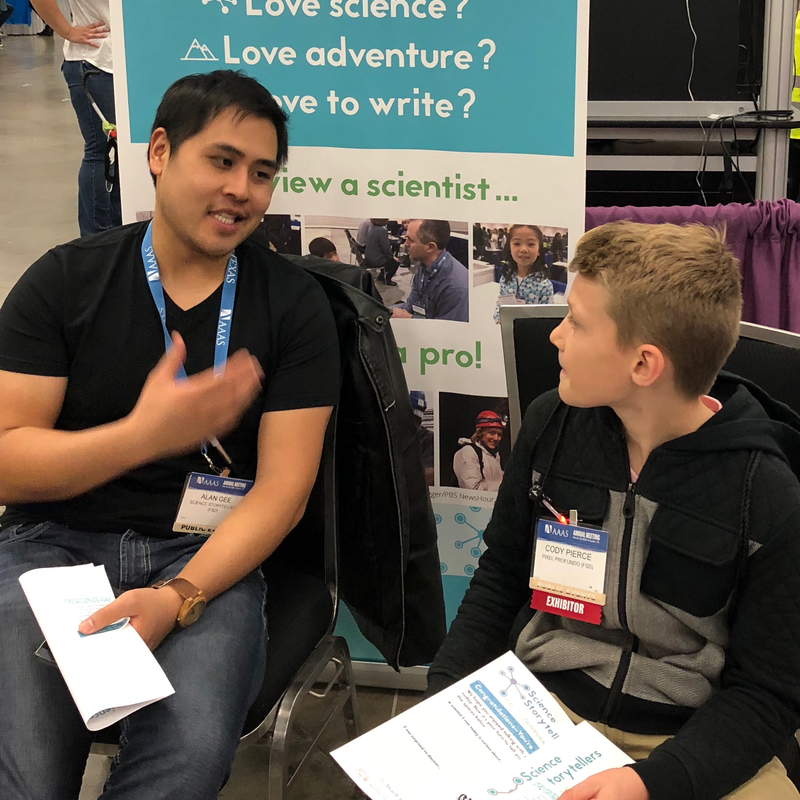 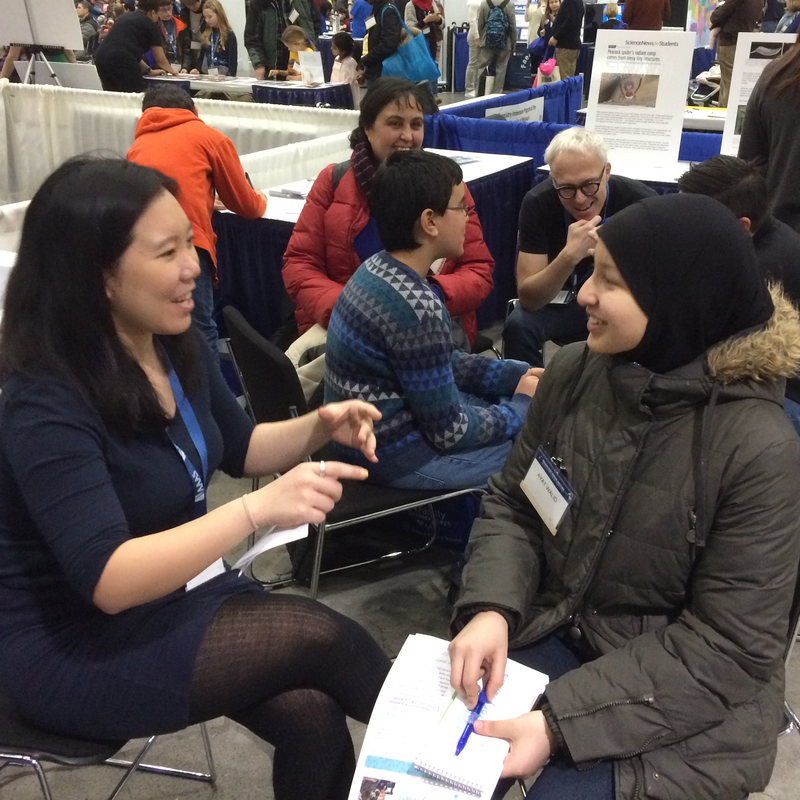 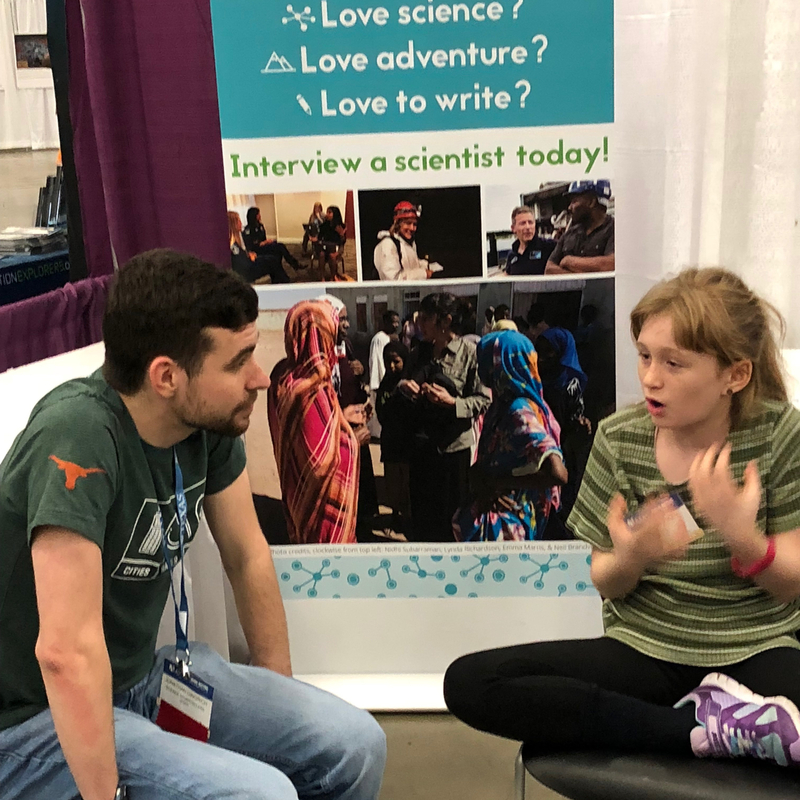 Wildlife and fisheries graduate student Kaylee Hollingsworth drove several hours just to talk with kids about science during AAAS 2018 in Austin. 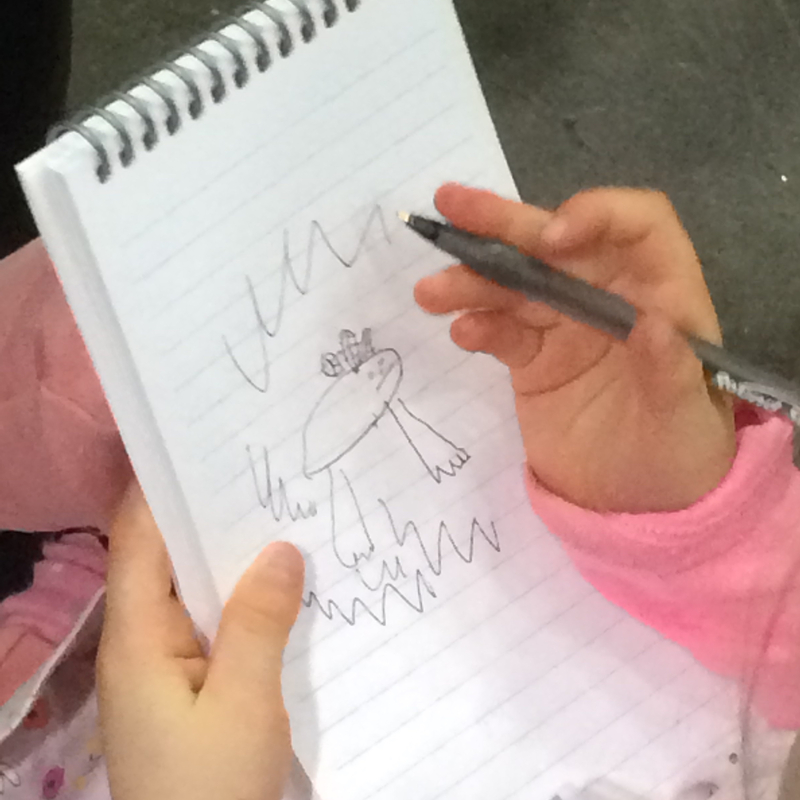 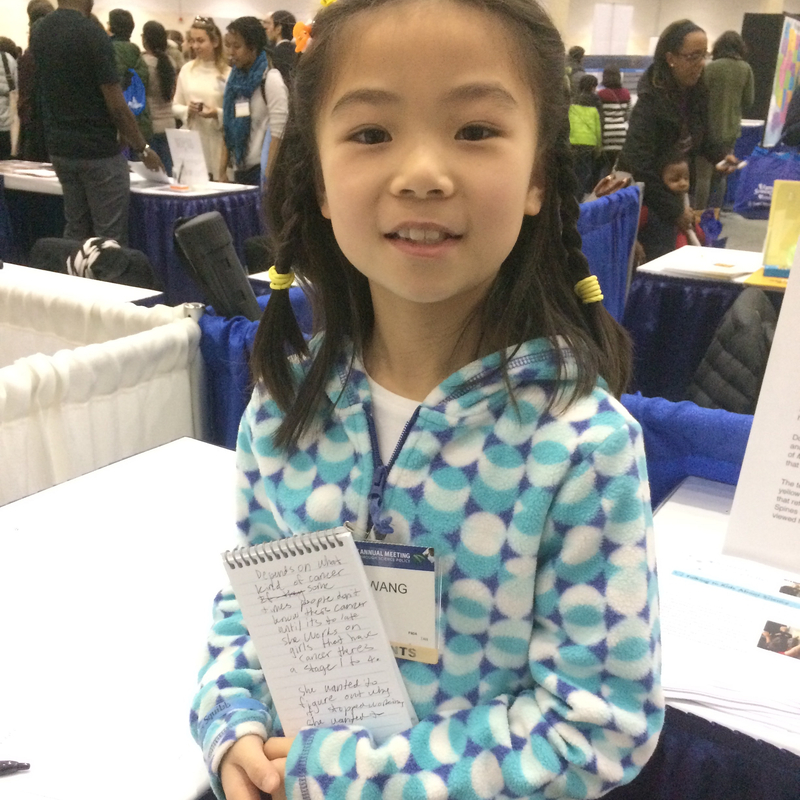 Thanks, Kaylee! 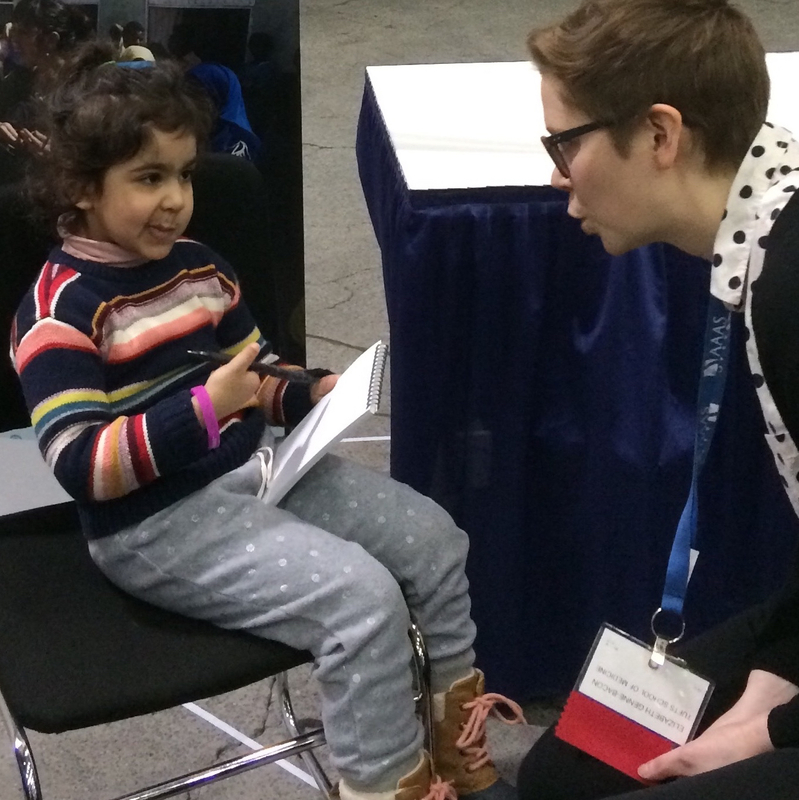 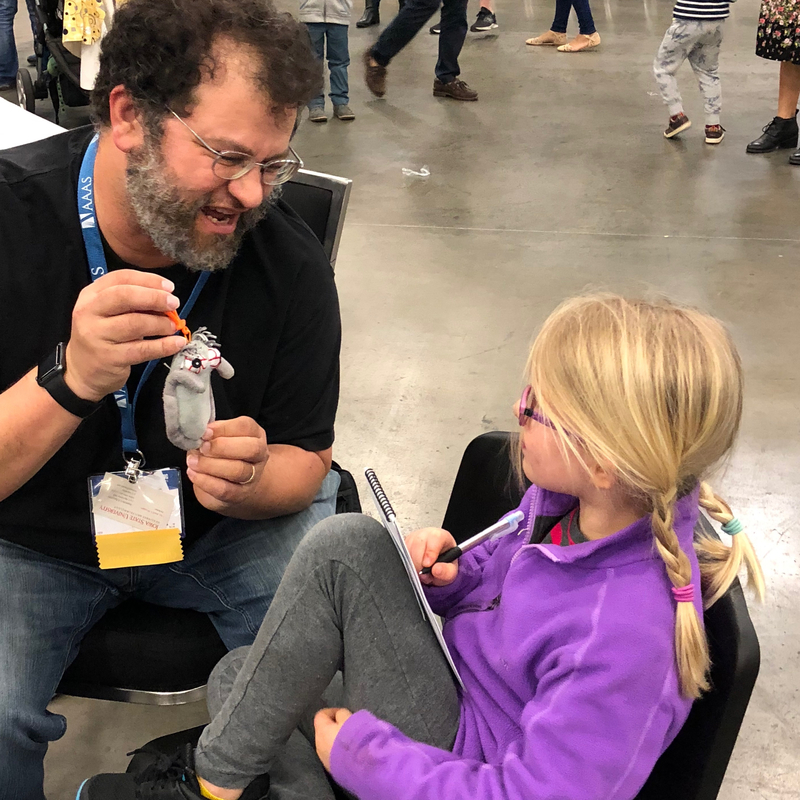 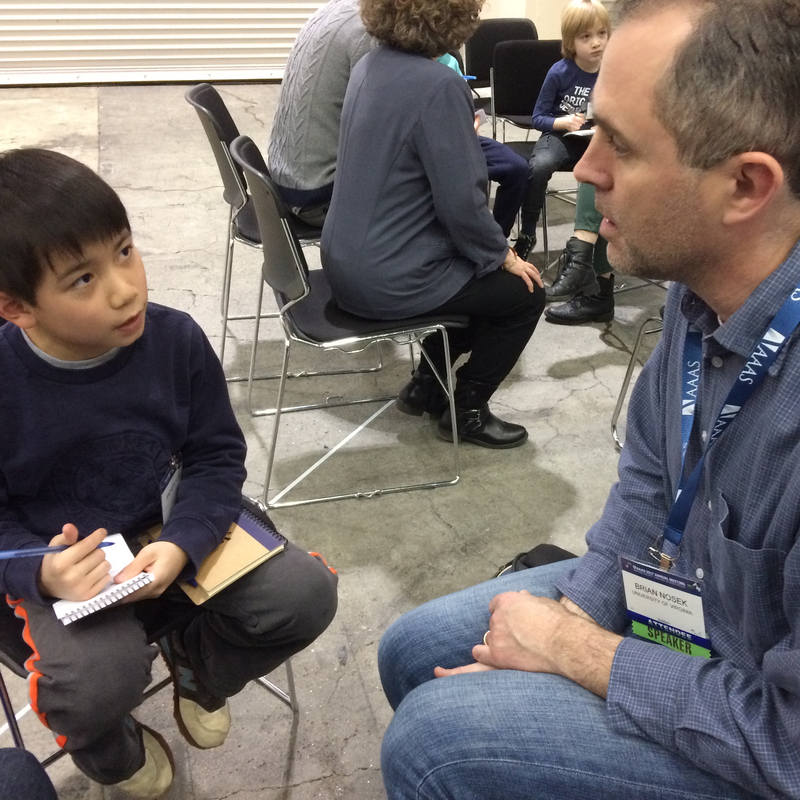 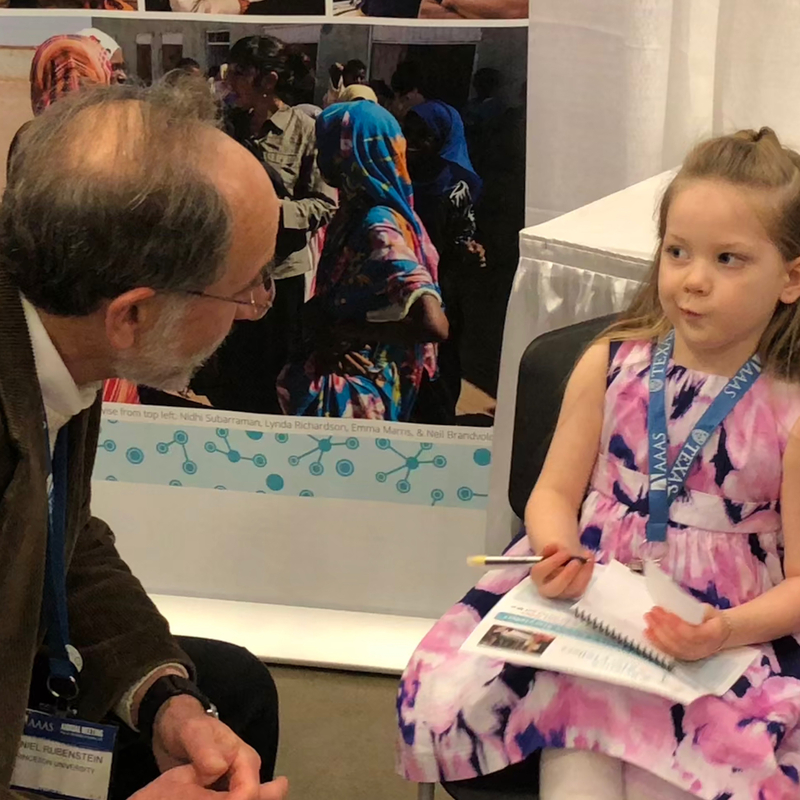 Jonathan Eisen talks microbial diversity with one of our young interviewers.